PARTS NOT NEEDED BUT FULLY FUNCTIONAL. NO RESTOCK FEE WILL BE CHARGED IF THE PART ORDERED IS DOA. (DEAD UPON ARRIVAL). IF PART IS RECIVED OR RETURNED DAMAGED CUSTOMER SERVICE MUST BE NOTIFIED IMEDIATELY FOR REFUND AND OR PART EXCHANGE TO BE GIVEN. BUYER PAYS FOR RETURN SHIPPING IN ALL CASES. USED: REMOVED FROM A CRACKED SCREEN TV. 100% FUNCTIONAL. 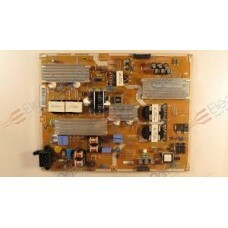 Samsung BN44-00752A Powe..